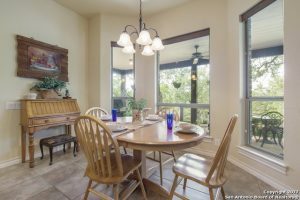 Enjoy hill country tranquility with this beautiful home located in the gated community of Seven Hills Ranch. Surrounded by trees & lush landscaping. Open floor plan with natural lighting & bay windows. Upgrades galore! 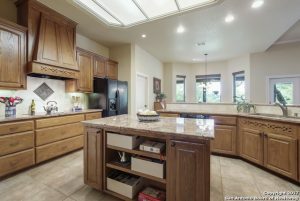 Island kitchen with granite counters, breakfast bar & breathtaking views from the eat-in kitchen. Exceptional storage throughout the home. Gorgeous backyard with hot tub provides perfect entertaining for family & friends! Fire ring & oversized covered patio. Schedule your showing today. 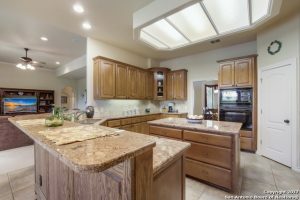 7911 Black Buck is one of the most desirable areas in the entire Garden Ridge TX region. With excellent schools and a close proximity to the city. it’s an oasis just inside of the city. Thank you for reading about 7911 Black Buck, Garden Ridge TX 78266.